If you're headed to the south of France with tykes in tow, I would like to recommend a terrific family-friendly hotel in the glamorous city of Nice. Hotel la Perouse is one of those rare finds in Europe that offers suites and junior suites, thus accommodating a family of four in one room. The guest rooms are charming, comfortable, and all have air conditioning. The hotel's lovely swimming pool will entertain your little ones when you're not down at the beach or strolling about town. Rooms with these extraordinary views cost a bit extra, but are well worth it. Hotel la Perouse offers free WiFi and has a fabulous restaurant, although it's a bit pricey. I can think of only one limitation to this hotel and that is it is not suitable for strollers. There are many steps around the property and, although there is an elevator, steps to access most rooms. 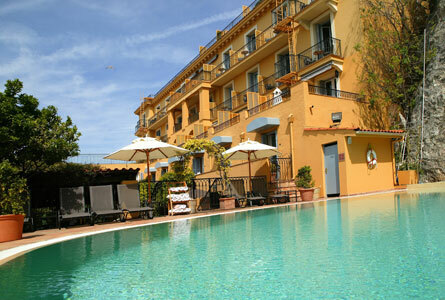 Other than that, enjoy the French Riviera at Hotel la Perouse. 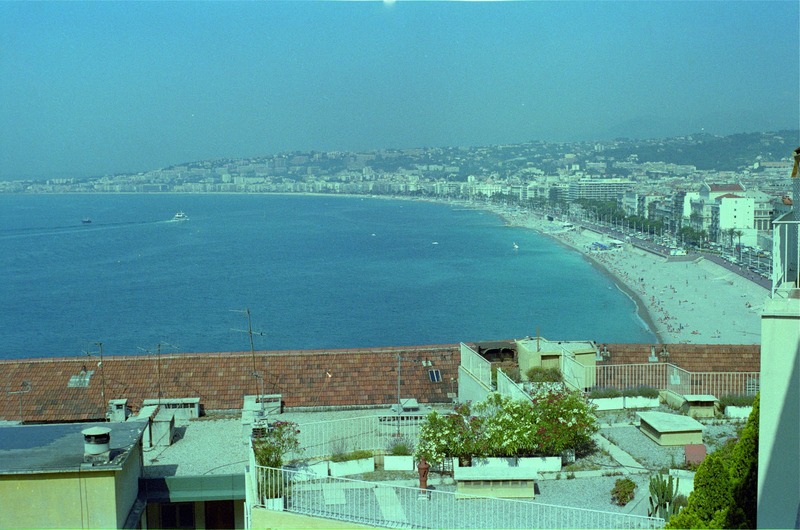 We love Nice and go for several days every summer. I might have to try this place out this year. Especially if it offers free Wi-Fi and has a great restaurant. Thanks for the tip. Wow....your blog gives me plenty of fodder for daydreaming! I would love to visit France someday. I really enjoyed the glimpse of Nice...what gorgeous pictures. And the art in your header is adorable! Thanks for stopping by Just Wedeminute and following me, I was already a follower! Wow! what a gorgeous place! And family friendly too! you always have the best recommendations!